When you created your scene, you set up the resolution and the alignment. However, if you want to change these settings later, you can do it using the Scene Settings dialog box. The different Scene Settings options are separated into four tabs. 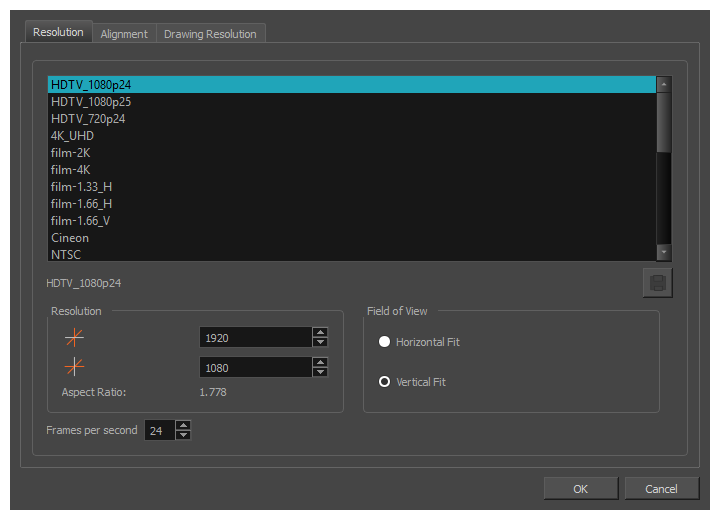 NOTERefer to Scene Settings Dialog Box in the Reference guide to learn more about the individual parameters of the Scene Settings dialog box.